Most people in the United States suffer from a mild to moderate form of periodontal (gum) disease, and many don’t even realize it. 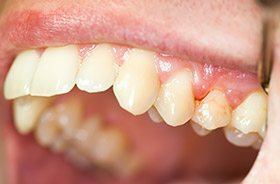 In fact, periodontal disease is the leading cause of adult tooth loss in the country, and other unpleasant symptoms, like gum recession, chronic bad breath, and oral bleeding are also common. At Torrington Dental Care, we strive to diagnose gum disease as soon as possible so the treatment process is always effective and minimally invasive. 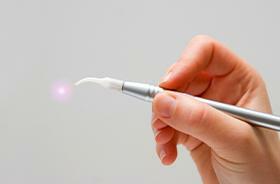 Why Choose Torrington Dental Care for Periodontal Therapy? 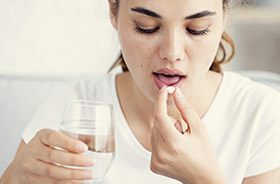 When symptoms are still mild, scheduling professional cleanings on a more frequent basis (even three to four months apart) may be enough to reverse the ill effects. Our team will be sure to keep an eye out for even the subtlest signs of a reemerging infection. Scaling and root planing is a cleaning that’s essentially been taken to the next level. We will target the areas of the mouth along and underneath the natural gum line, removing damaging accumulations of bacteria and plaque. We will also smooth any rough surfaces on the tooth roots, which are vulnerable targets for this type of accumulation over time. 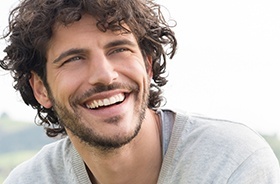 When faced with moderate to severe periodontal disease, our state-of-the-art soft tissue laser can work wonders at eliminating disease from the mouth. This precise beam of light eliminates diseased tissue in a conservative fashion, preserving the healthy structure that remains. It also minimizes common postoperative symptoms, like bleeding and swelling, and helps patients recover quicker from the treatment process when compared with more traditional tools. Antibiotic therapy may be recommended as a supplement to scaling and root planing or soft tissue laser therapy. Our team can prescribe Periostat®, which works to reduce the activity of harmful enzymes that gradually destroy tooth and gum tissue.